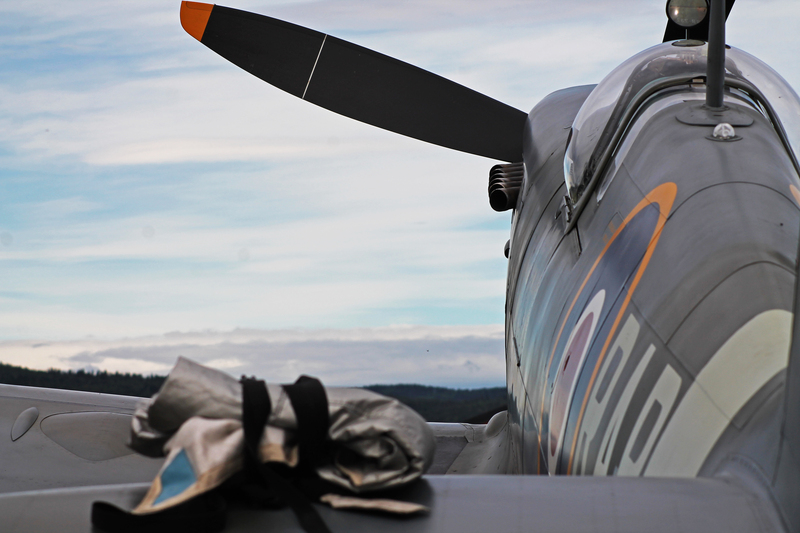 We can now proudly present Knut Åshammers NSF video from Gullknapp Airshow, Norway. This included air-to-air shots of RAB and The Shark as well. A truly magnificent piece of videomaking. 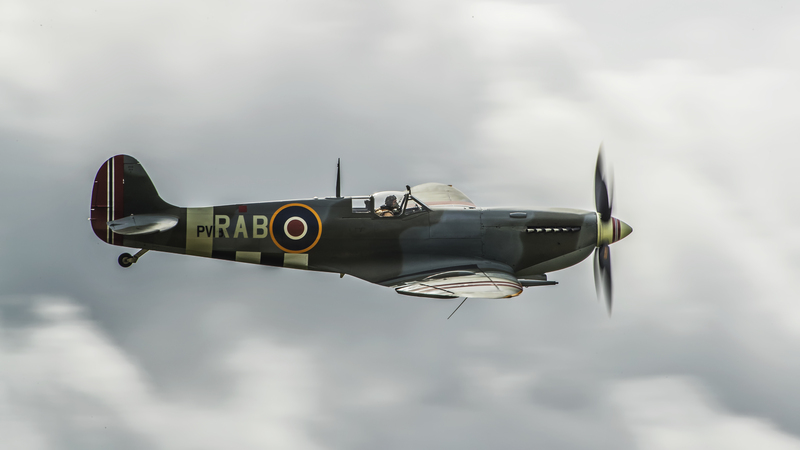 Martin Phillips’ Spitfire Mk. 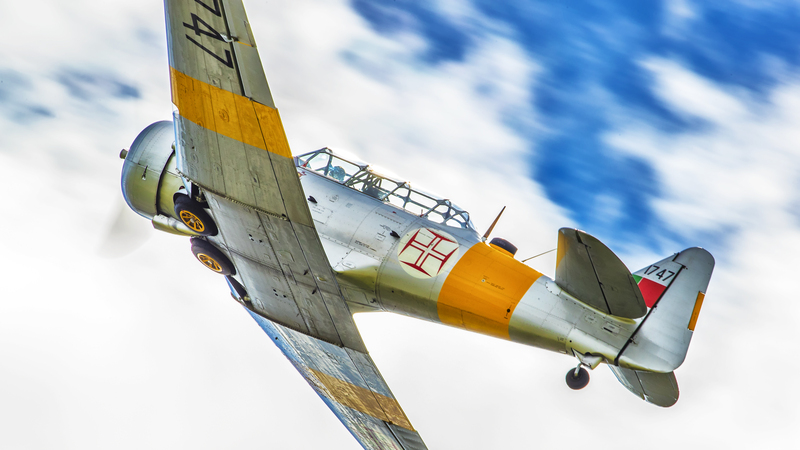 IX RR232 painted in Wing Commander Rolf Arne Berg’s unique scheme, for the first time since the war. RAB with Norwegian pre-war markings on wings and rudder. W/C Rolf Arne Berg of 132. (N) Wing was killed in action on 3rd February while attacking Eelde airfield in the Netherlands. 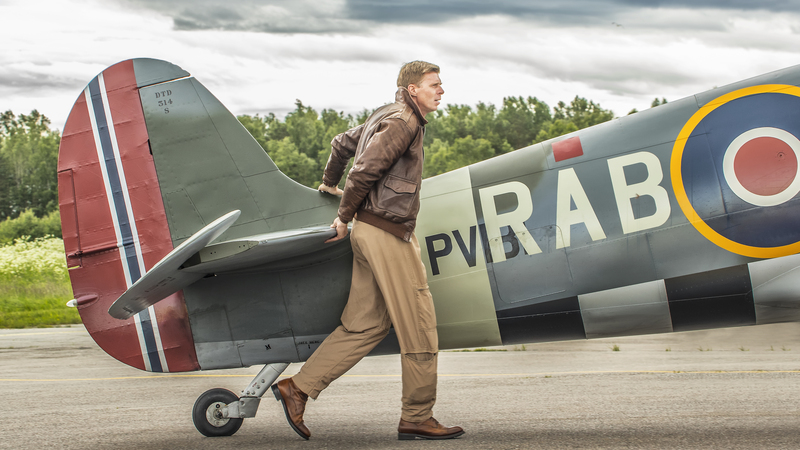 His legendary scheme now flies again for the first time – in Norway. 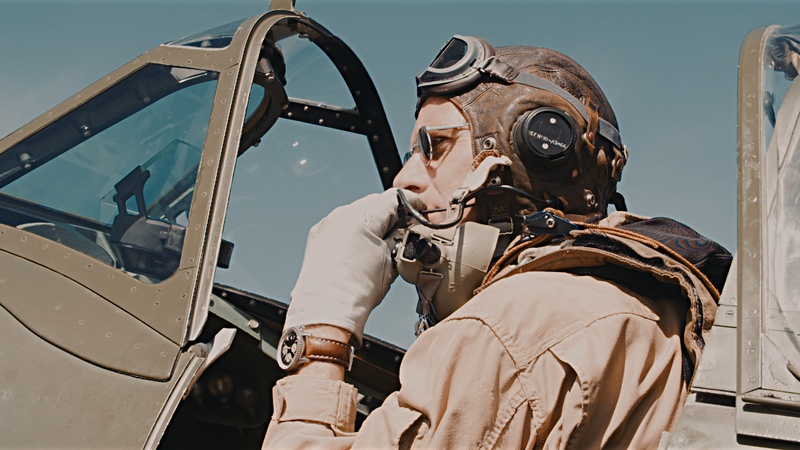 This video is a tribute to all Norwegian fighter pilots that gave it all in their fight to bring back freedom to their country, of whom 82% never landed on Norwegian soil again. 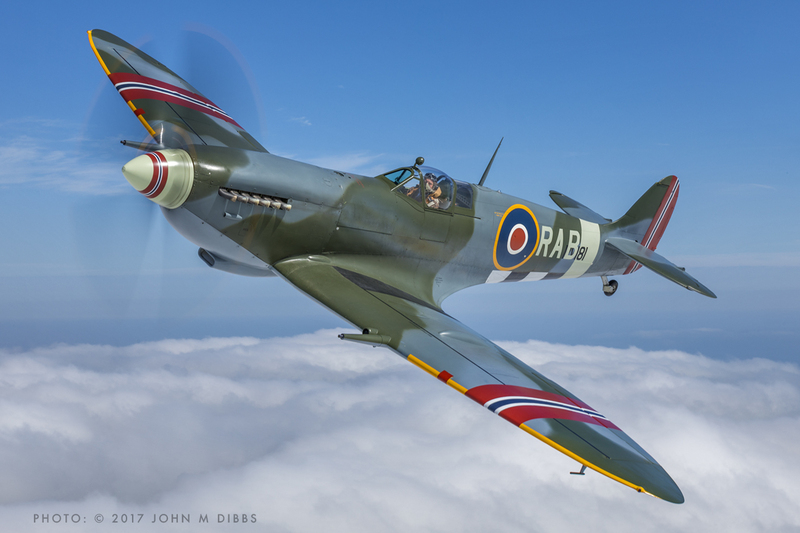 John Dibbs captured the fantastic colours of Spitfire RAB over England the other day. 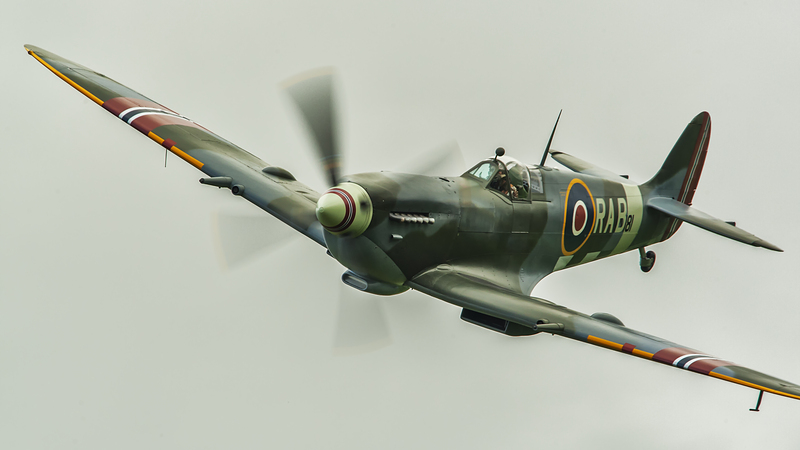 The master photographer have truly outdone himself this time – Spitfire RAB never looked better! We all enjoyed a fantastic 18 June at Kjeller. 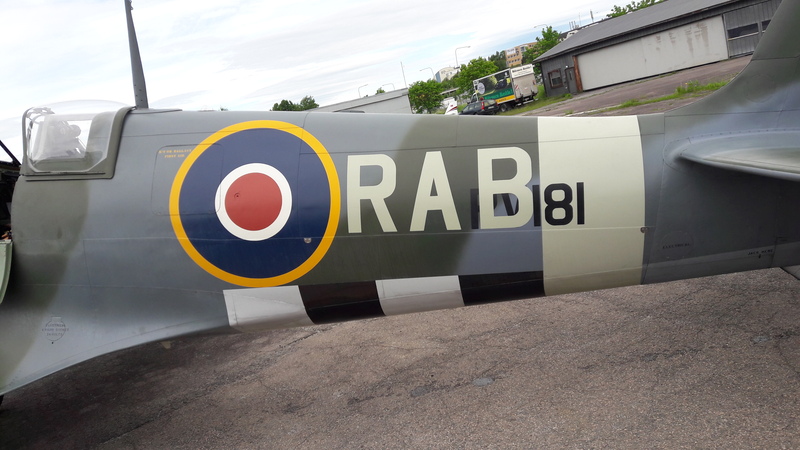 Spitfire RAB to Kjeller turned out to be great success with lots of visitors. Cato Guhnfeldt held an hour long talk on the main person of the event, Wing Commander Rolf Arne Berg. In attendance was his nephew Rolf Arne Berg (with the same name). 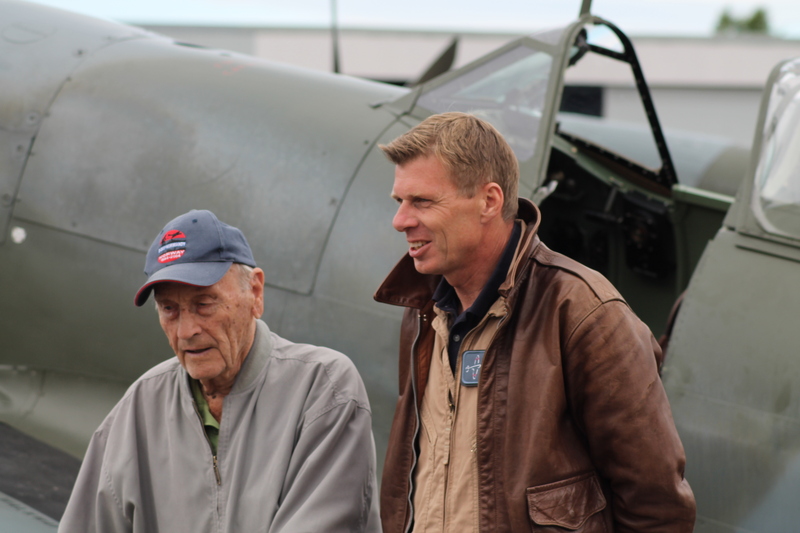 Also in attendance was Rolf M. Kolling who flew Spitfires with 332 Squadron during WWII. 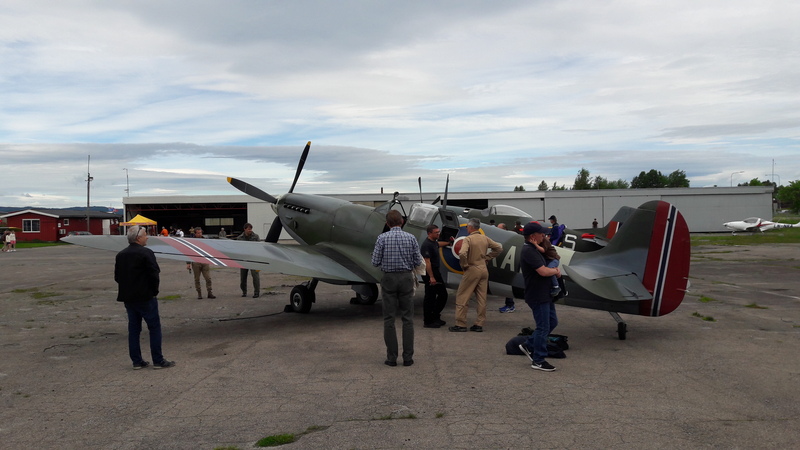 Norwegian Spitfire Club had its stand at Kjeller while burgers and soft drinks being served. In the afternoon, a small airshow was held. 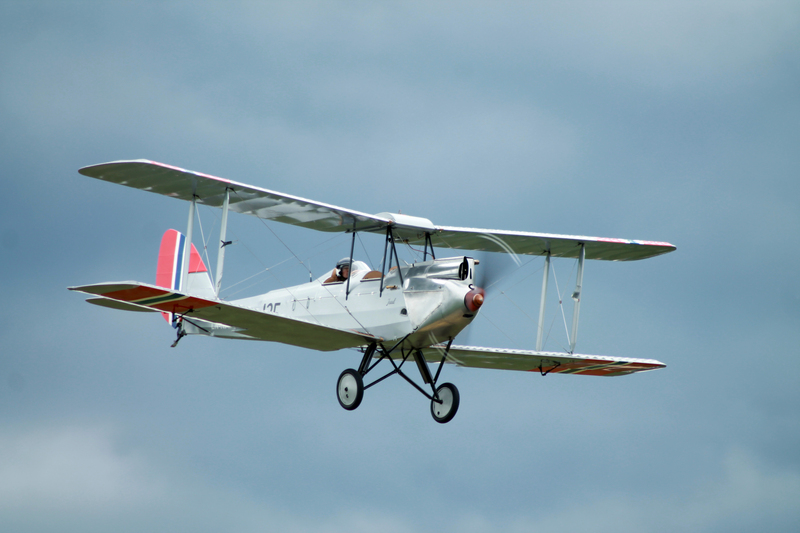 The newly restored de Havilland Moth was displayed first followed by Lars Ness in Spitfire RR232 (PV181 RAB). Then we were treated to a great display by the British-based Harvard which NSF leased for the events in Norway in June. 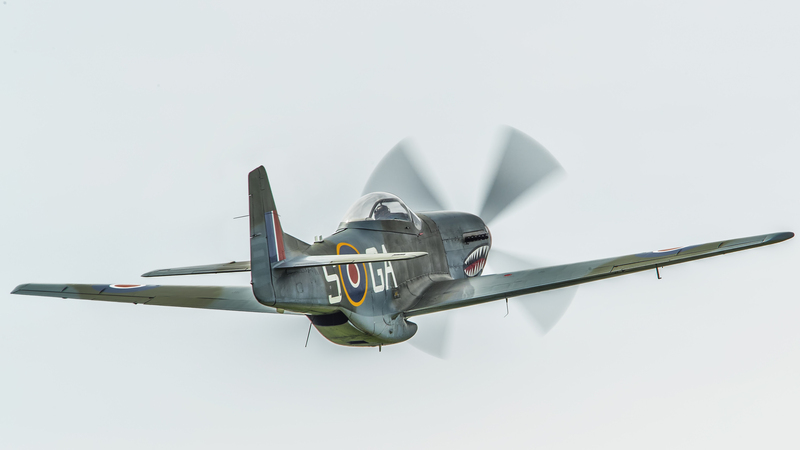 A display by a Norwegian Tiger Moth was up next before Lars Ness in the Spitfire, and John Dodd in the Mustang finished of the event in spectacular fashion. They performed formation fly-bys as well as solo displays. NSF had our media-team present. Pictures as follows (all by NSF). There will be videos coming next! 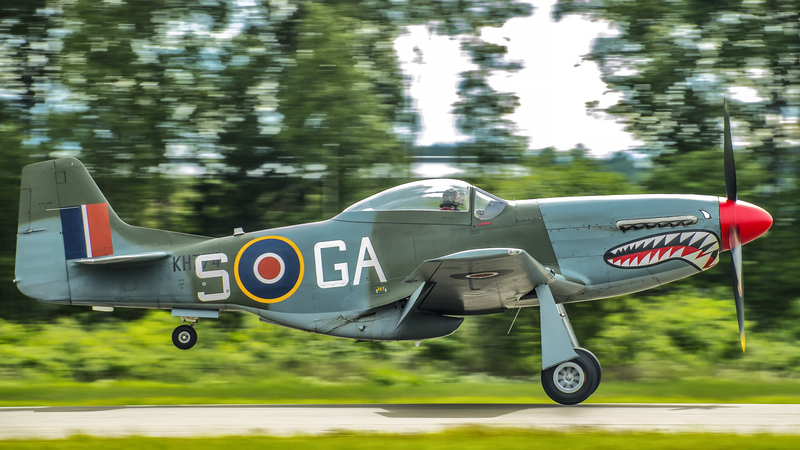 Sola and Kjeller Airshow videos! On this post you will find videos as they are being made and uploaded! 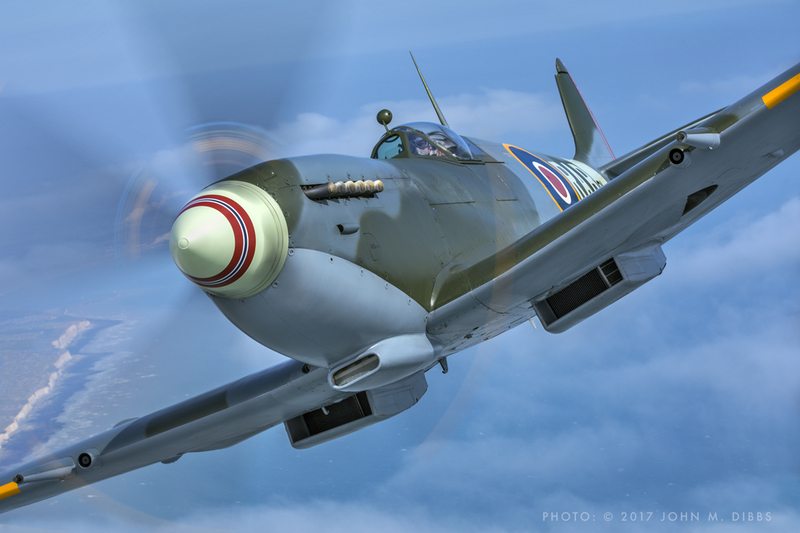 Nå i juni 2017 gjør Norwegian Spitfire Foundation ære på Wing Commander Rolf Arne Berg og de norske krigsflygerene ved å besøke flere store arrangementer i Norge og i utlandet med en Spitfire lakkert i Rolf Arne Bergs spesielle Norske fargeskjema fra høsten 1944. 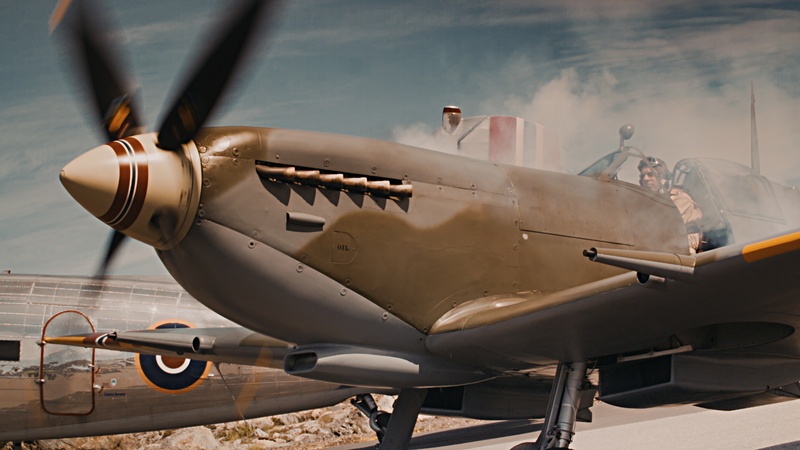 Luftforsvarsmuseet ønsker å aktivt formidle Luftforsvarets historie, og gjennom dette har de støttet NSF med finansieringen av lakkeringen av flyet. 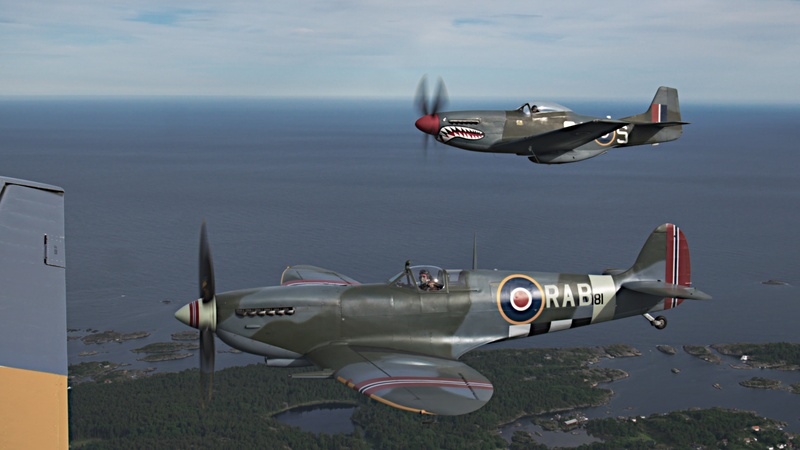 Norwegian Spitfire Foundation oppfordrer publikum til å besøke de flotte utstillingene til Luftforsvarsmuseet og Norsk Luftfartsmuseum i Bodø og Luftforsvarsmuseets flysamling på Gardermoen.